Do you want to get some work done on your sewing projects in a fun, creative, and helpful environment? 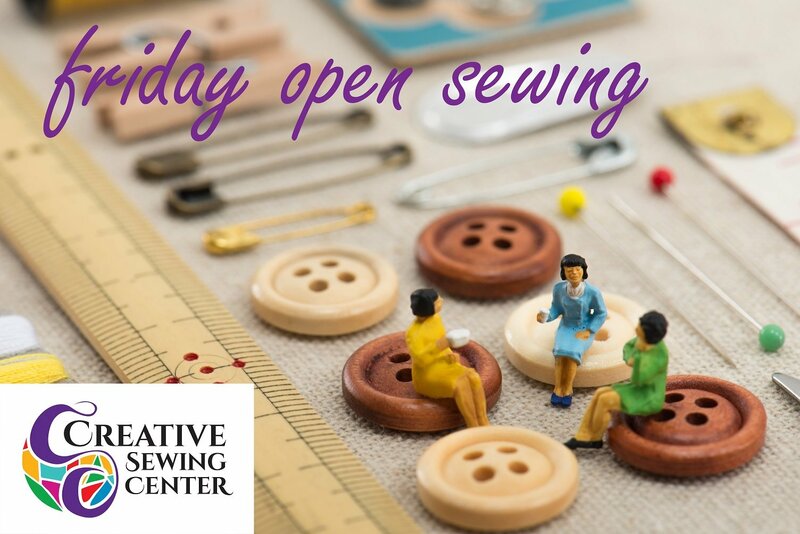 Join us for one of our Friday Open Sew days! There is no fee - but sign up today. We have limited seating and spots will fill up quickly! Free session - Please register to save your seat!